President Muhammadu Buhari has expressed his commitment to facilitate the prompt release of the remaining Chibok girls from the den of their kidnappers, Boko Haram. 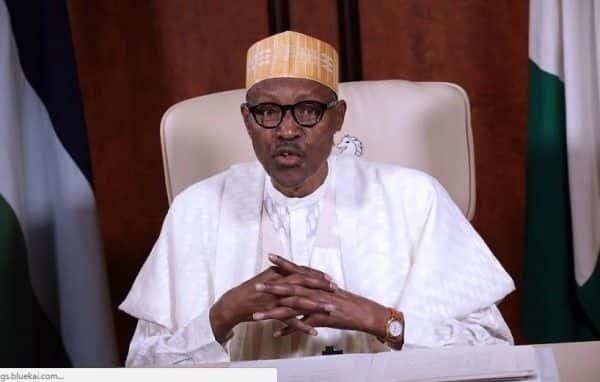 The president made this known in a statement by Garba Shehu, his senior special assistant on media & publicity in Abuja on Saturday, April 13, on the anniversary marking fifth year the school girls were abducted from their dormitory in Chibok community, Tribune reports. Legit.ng recalls that the school girls numbering over two hundreds were kidnapped on April 14, 2014, by Boko Haram members. They were conveyed to Sambisa forest where they were reportedly forced to marry the extremists. The federal government has, however, instituted effort to secure the release of some of the girls, while also working on strategy to secure other victim trapped in the terrorists' den. Expressing his commitment to rescue the victims of abduction, President Buhari vowed that he would fulfill the promise he made to the parents of the Chibok girls. According to him, effort is ongoing to secure the release of Leah Sharibu, another girl who was also kidnapped by the terrorists. He added the she would be soon reunited with her family. Presidency said: “The report reaching us says her return to her family has unfortunately been hindered by the fear of the militants. On the fight against insurgency in the northeast, presidency said: “The success of the Nigerian military in subduing Boko Haram is evidenced by the large numbers of militants who have surrendered recently, especially in neighbouring Cameroon and Niger. The president also sent regards to Chibok girls, who were released and now pursuing their education in America University of Nigeria in Adamawa and other institutions in the world. Meanwhile, Legit.ng previously reported that theto do everything to secure the release of Leah Sharibu, the last Dapchi schoolgirl still in the captivity of Boko Haram. Senator Shehu Sani had on Thursday, April 11, raised a point of order during plenary, drawing the attention of the federal government to the continuous captivity of Leah Sharibu.